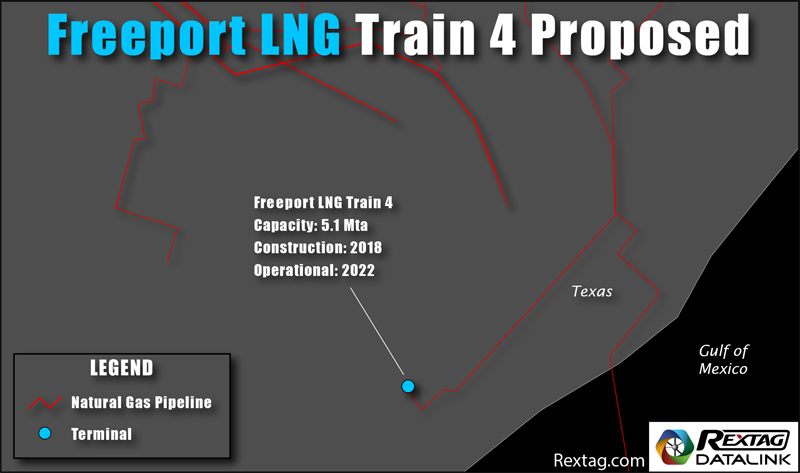 Freeport LNG Files FERC Application and Commences Front-End Engineering and Design For Proposed Fourth Liquefaction Train. The initial three Freeport liquefaction trains are currently under construction. They are scheduled to commence operations sequentially between Q4 2018 and Q3 2019. Each liquefaction train has a capacity in excess of 5.0 mtpa. Approximately 13.4 million tonnes per annum of the production capacity from the first three liquefaction trains has been contracted under use-or-pay liquefaction tolling agreements with Osaka Gas Co., Ltd., JERA Energy America LLC, BP Energy Company, Toshiba Corp. and SK E&S LNG, LLC.